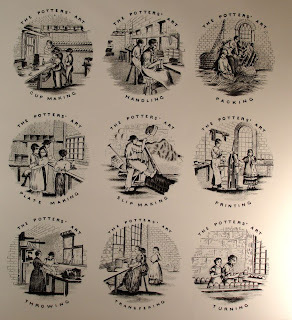 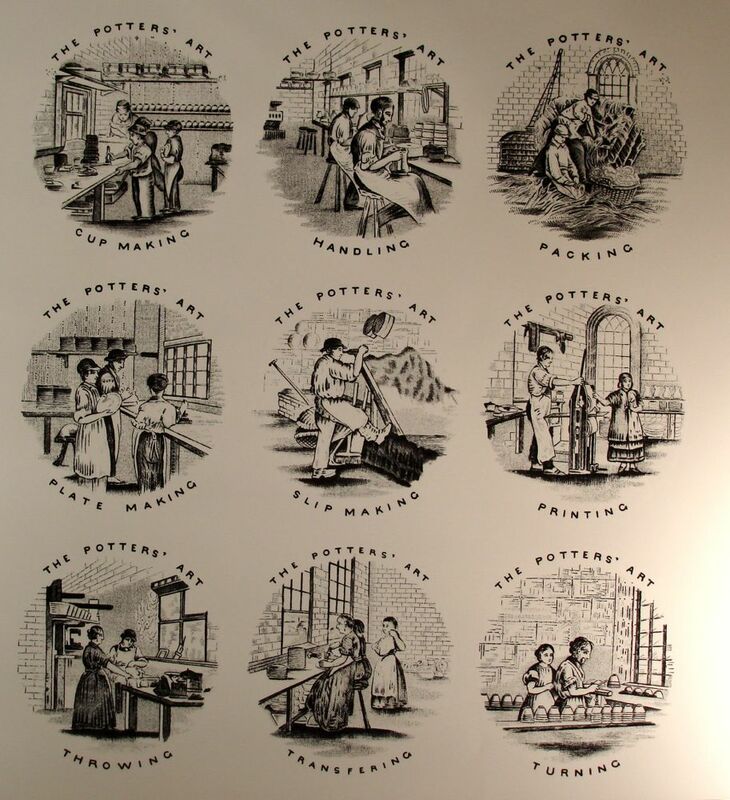 The nine patterns in the children's series "The Potters' Art" illustrate some of the stages found in ceramic production. 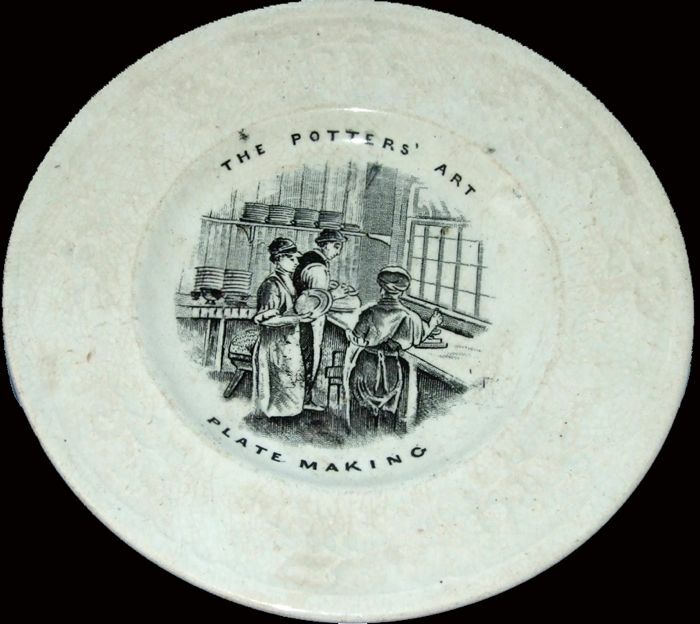 The manufacturer is unknown and the factory portrayed is also unknown. 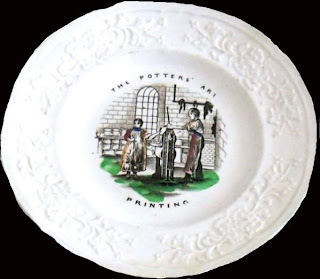 It appears that more than one factory made the series, as there are subtle differences in some of the plates showing the same scene. 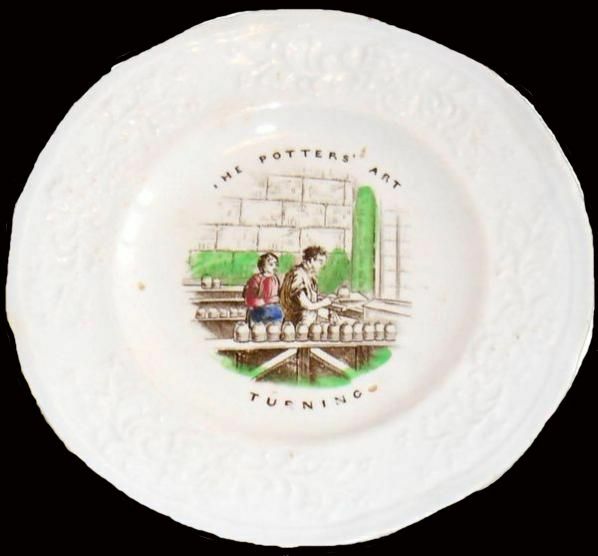 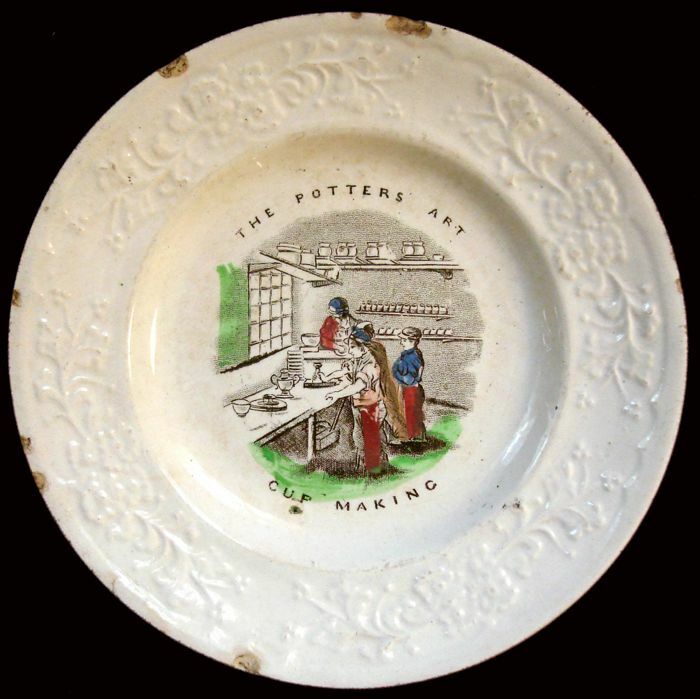 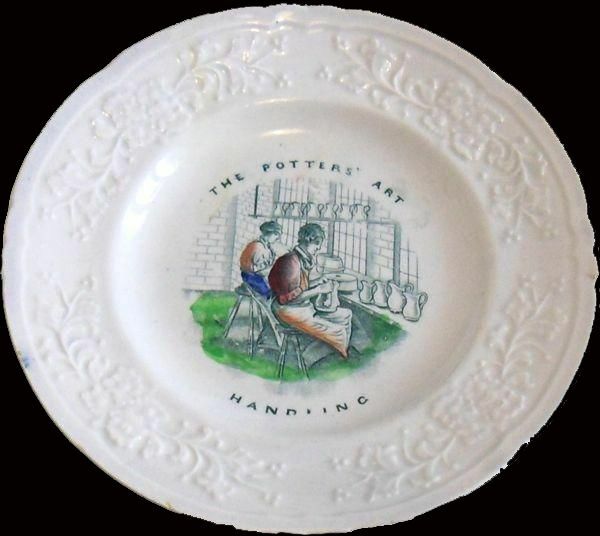 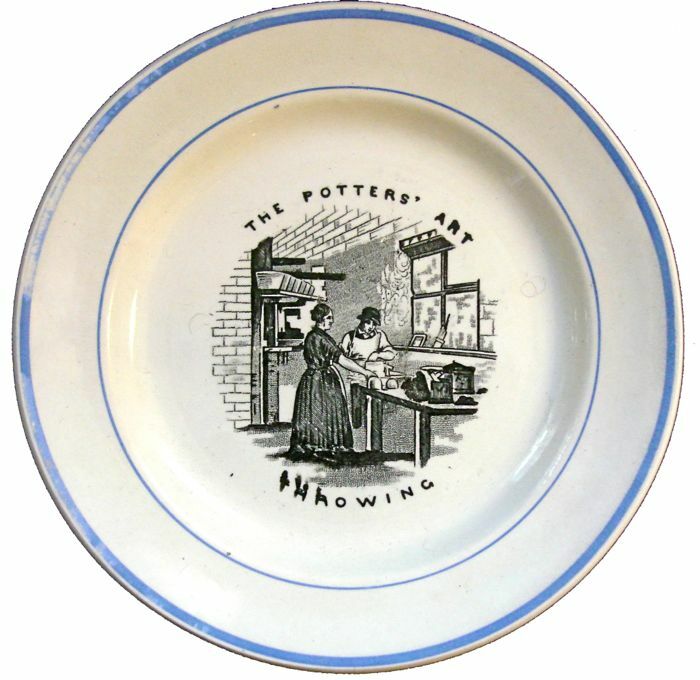 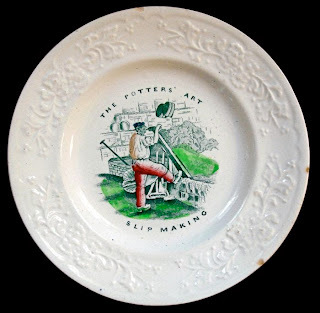 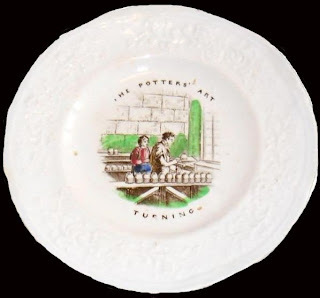 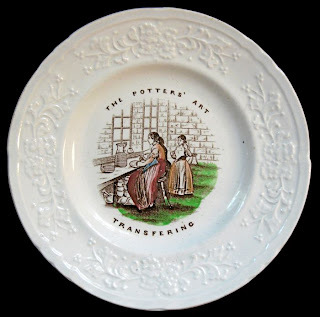 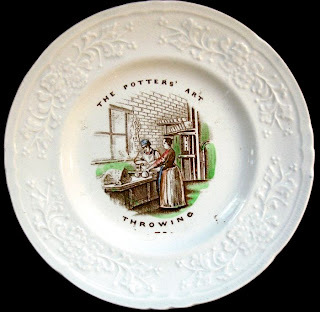 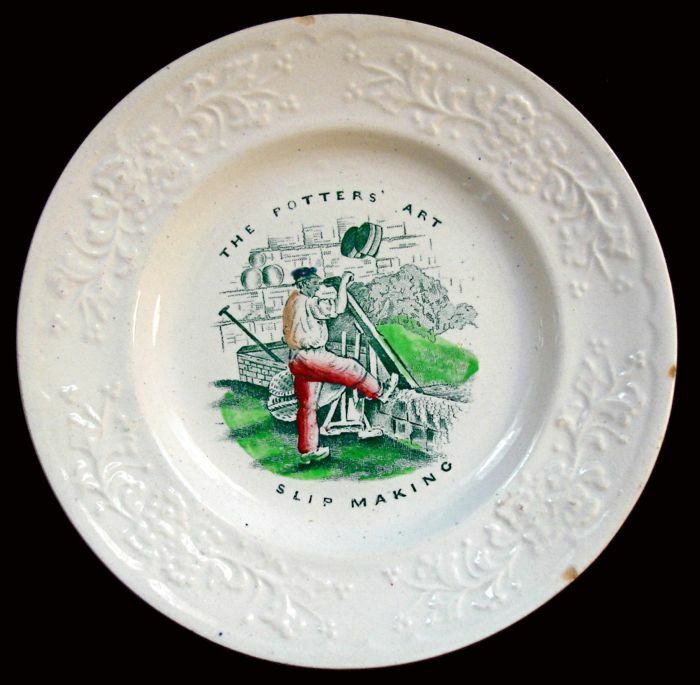 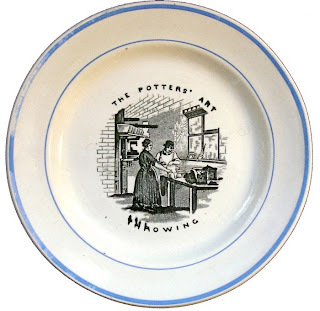 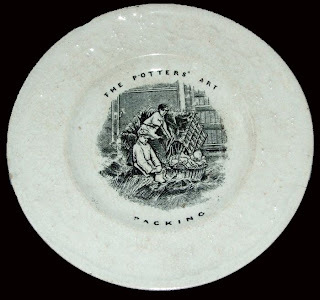 *Compare the two "Potters' Art Throwing" plates (the second Throwing plate is at the bottom of this post). "The Potters' Art Cup Making"
"The Potters' Art Plate Making"
"The Potters' Art Slip Making"
Below is a copper plate and a tissue pull that would have been used to make these patterns. 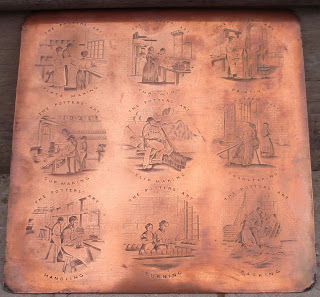 Thank you to Don Carpentier who sent the photos of the copper plate and tissue pull. 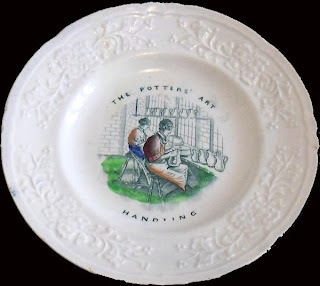 *"Potters' Art Throwing" Notice that the pattern here is different from the pattern on the pottery plate above. 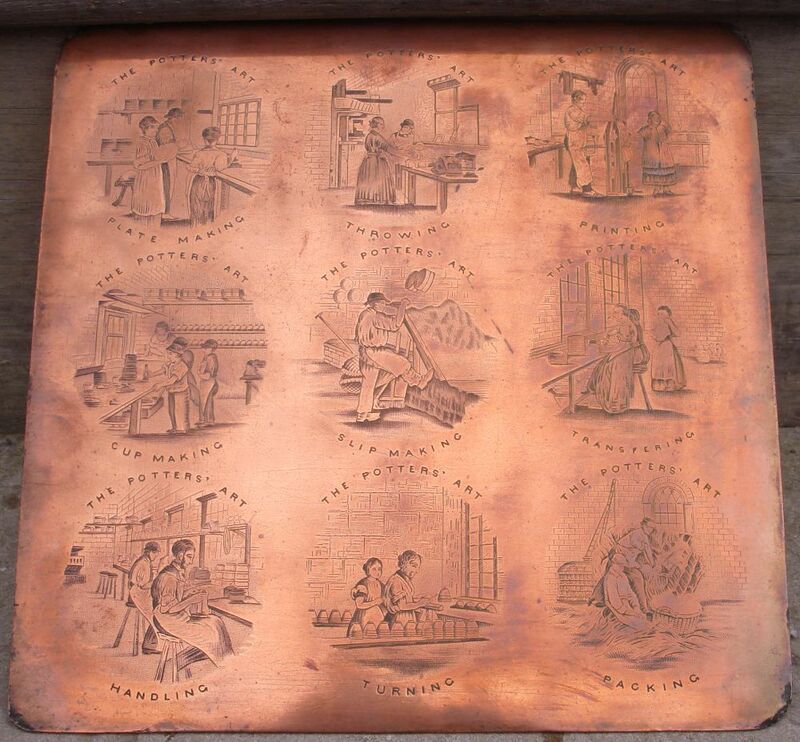 However, it is the same as the pattern on the copper plate!